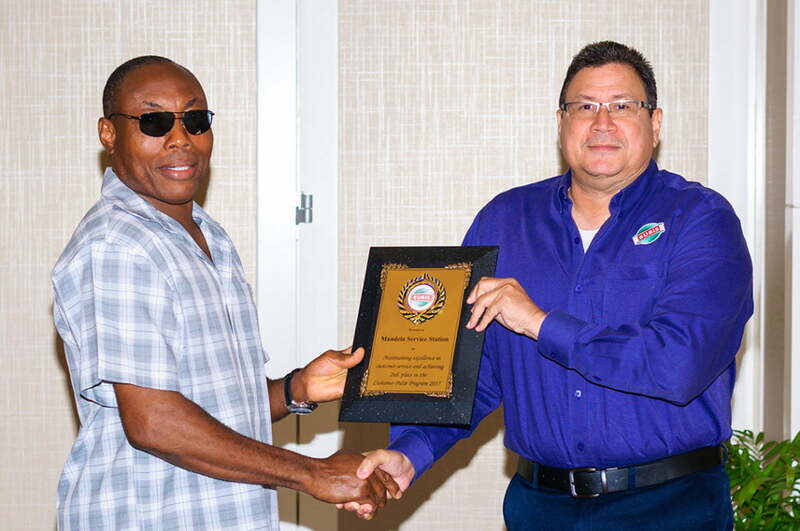 The RUBIS Mandela and Soesdyke Service Stations were recently honoured for their consistent delivery of excellent customer service. 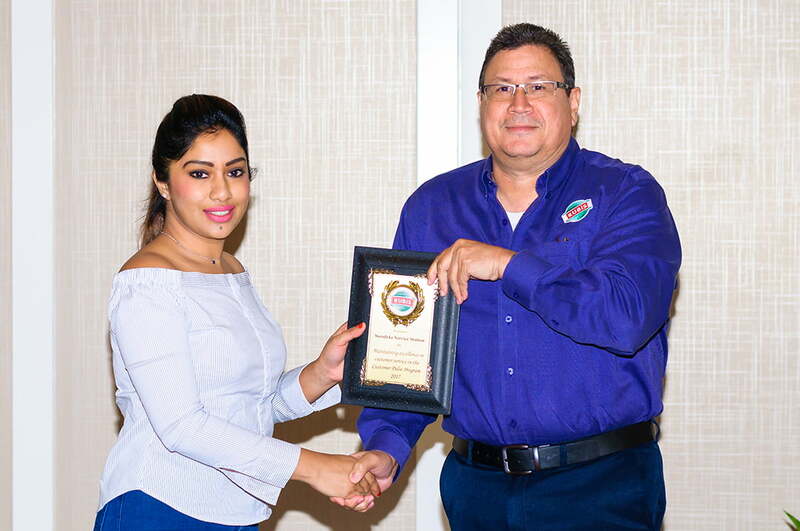 The two retail teams achieved the highest rating in 2017 in the Rubis Customer Pulse (mystery shopper) program placing first and second in the ranking among all Rubis service stations in Guyana. Stations are encouraged, through a series of assessments to consistently focus on the quality and level of service offered, promptness and attentiveness to customers and the physical appearance of the station. 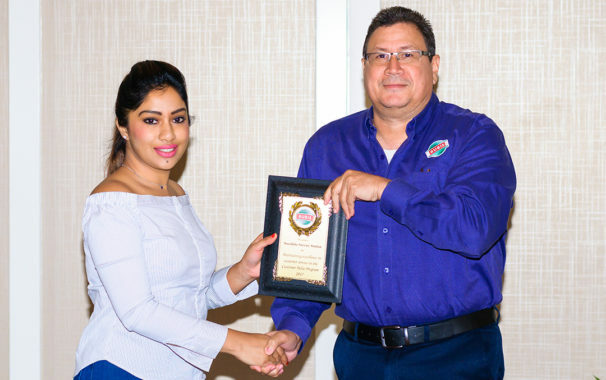 Sophia Deokie (left), Retailer, Soesdyke Service Station receiving her 2nd place award in the Rubis 2017 Customer Pulse Program from Ricardo Milford, Director, Rubis Guyana Inc.
Mr. Cephas James (left), Retailer, Mandela Service Station receiving his 1st place award in the Rubis 2017 Customer Pulse Program from Ricardo Milford, Director, Rubis Guyana Inc.